Is live chat support really needed for your website? Thinking that you can achieve online business success with a plain website that simply displays your product. is a big mistake you should remedy as early as now. With technology continuously evolving, consumers are expecting more and more from online shops. They want the convenience of shopping from home yet an experience close to that when shopping at a local store. One of the things they look for is the assistance they get from staff. They usually have questions and they want answers. One way to meet this need, is to get a live chat support for your website. Live chat is convenient for consumers. Even when shopping online, many consumers want to get help (when they need it) from a real person. What is surprising is that most of them would choose live chat support over assistance via phone or email. Live chat is just more convenient than dialing a toll free number or composing a long email that contains all their concerns. Moreover, live chat for website usually involves a shorter wait time than call centers. Emails are usually answered within 24 to 48 hours. Consumers want prompt answers. Take advantage of live chat support. With a live chat box on your website and a high number of consumers using it, you can double your sales and build or improve your customer base. It is best to have a team that can answer live chat queries 24/7. While you can be offline, won’t it be great for you and your potential customers if there is a communication channel available round the clock? 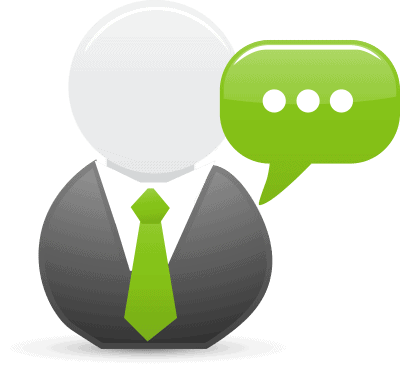 Live chat for website has become cheaper than ever with several companies that offer similar programs. You can find an affordable live chat software and get all the necessary features. Just do your part – conduct research – before making a purchase. Compared with phone support, live chat offers big savings to business owners. For instance, when the line is breaking up, callers tend to hang up and businesses would have to make a callback, which costs a few bucks, to salvage the sale. With live chat for website, costs are reduced because the average interaction cost is also reduced. Moreover, you can reduce payroll expenses. Skilled live chat support representatives can handle several chat sessions simultaneously. Some live chat programs offer canned responses, making answering frequently asked questions fast. Whether you have just started your online business or have been online for quite a while and want to boost your conversion rate, getting live chat for website is definitely a wise thing to do. Provide consumers a convenient way to reach you. While phone and email work, adding a live chat box to your website can help a lot, especially in establishing your involvement. Take advantage of consumers’ love for live chat support by meeting their expectations in terms of the quality and speed of customer service. Save on customer service expenses and see your conversion rates and sales soar.